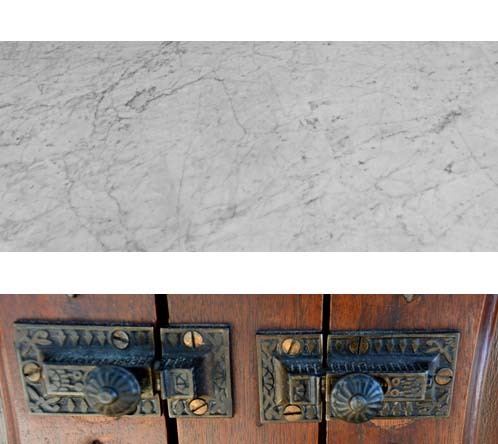 42" wide x 20" deep x 32" high. 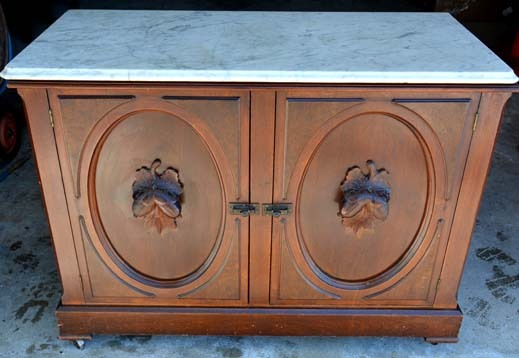 Here is a beautiful mahogany Marble Top Cupboard at a bargain price. 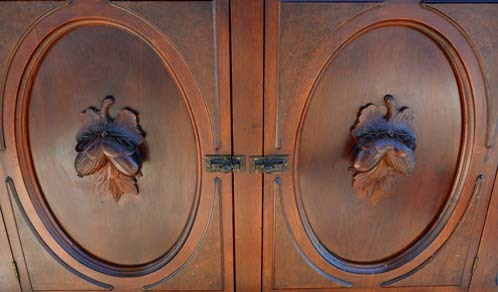 This is a double door cupboard with original cast iron latches that could be used in a powder room or to house a sink. 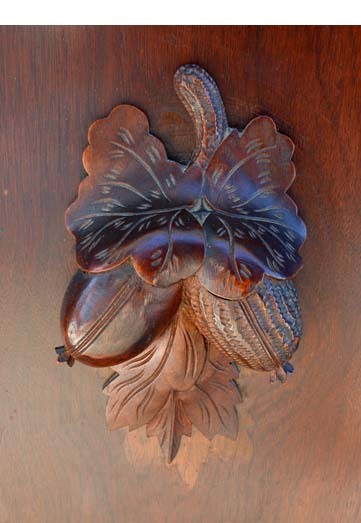 The doors are adorned with acorn carvings inset in an oval frame surrounded by burled mahogany. There is a removable shelf inside each cupboard that may or may not be used. 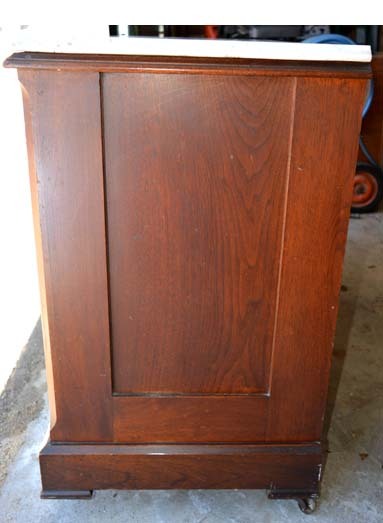 This would make a great cupboard and is a great buy!